Your actions during and after a DWI stop can affect the outcome of your case, as they may enable your DWI defense attorney to get charges dismissed or another favorable outcome. Be respectful — Be polite and responsive to the officer’s questions. Aggressive, defensive, or hostile behavior will only invite increased scrutiny from the police. You have the right to remain silent — Provide the police officer with your driver’s license and insurance information. Don’t answer any questions regarding consuming alcohol. Do not tell the officer that you have been in a bar. He or she is looking to continue an investigation that will find evidence against you to charge you with DWI. The less info you provide, the better. Remember that you may be on video — Many stops in Kansas and Missouri are recorded on video from the police car or on the officer’s body. This video can provide evidence that supports the decision to arrest you. Again, refer back to rule number one, be respectful. Get legal help as soon as possible — If you refuse to perform field sobriety tests or take a portable breath test, you may be transported to a police station and asked to take an official breath test. 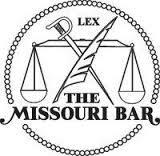 If you are charged with a DUI or DWI in Kansas City area (Missouri or Kansas), contact KCticketlaw for assistance. Looking for a lawyer for a DWI case? First time DUI penalties can be harsh, so it is important that you have the right DUI lawyer on your side. The Kansas City DUI lawyers at the Kane Law Office and KCticketlaw are centrally located in downtown Kansas City, Missouri, and have the experience and expertise to aggressively defend your criminal and administrative Kansas driving under the influence (DUI) charges, Missouri driving while intoxicated (DWI) charges, or related charges resulting from a refusal to submit to blood, breath, or urine testing.